Welcome to the world of ElectriPlast!! This Blog is dedicated to open and honest discussion on Integral Technologies & their intellectual property (IP) known as ElectriPlast. Discussions on this Blog include: Historical Perspectives (Integral & its Products); Management Profiles; Patents; Production Issues; Tech Spin-offs; Product Speculations and Time Tables; The Game Plan; Media Relations; Corp Supporters; Shareholder Impressions; & the Latest News. I am a retired US Government analyst, currently residing in Germany. I am also a shareholder in the company called Integral Technologies (OTCBB: ITKG), and have a desire to enlighten and share its great and still emerging story. I am well read, focused and appreciate challenging interactions which spark creativity and develop enlightenment. That is why I created the ElectriPlast Blog, and the reason I am here. ElectriPlast: Let’s Hear it for Hippocrates! The Greek physician, Hippocrates, 460-377 BCE, is generally acknowledged as the father of medicine. So pervasive was his reputation that, twenty-four centuries after he saw his last patient, the medical profession still honors him by administering his eponymous oath to new physicians. After many translations from ancient Greek to Latin and the European languages, including three iterations of English, the Hippocratic Oath has come to mean first, do no harm. Although there is controversy as to whether Hippocrates actually said those words, his enduring philosophy becomes even more prophetic as technology moves the science of medicine forward, while ensuring physician and patient alike of quality results. Given the genesis of Integral Technologies, which initially focused on antenna systems, the medical technology field has been little more than a speck on the radar of most who follow this company. Not so for a recent visitor to the Consumer Electronics Show, a physician who appears to be visionary for his insight regarding the application of new technology to medicine. 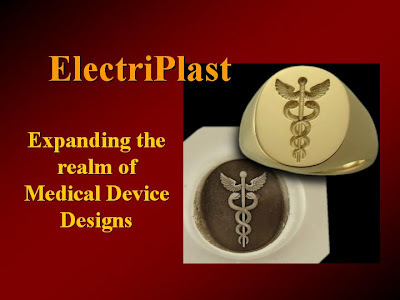 In fact, the inspiration for this article resulted from perusing his website and contemplating the role ElectriPlast might play as a biomaterial in the field of medical technology. Metal core tools also present other challenges in terms of their physical characteristics, shape and durability. So, here is the bottom line. Metal core electrosurgical instruments, cabling, housing and motor components for the generator are candidates for ElectriPlast. Our IP should exceed the standards of the current equipment by combining conductivity (RF electrical energy) with the strength of titanium instruments, while combining lasting insulating capabilities with malleability and durability. Over a year ago, a manufacturer of pacemakers, defibrillators and similar cardiovascular devices contacted Integral. They wanted to know if a certain plastic they use in their product line had been tested with ElectriPlast. The answer was affirmative, and we gave them the specifications. As a result, that company initiated research and development testing using our IP, but not before signing the obligatory nondisclosure agreement. Two huge factors drive the potential of the cardiovascular market: Aging and obesity, both growing health concerns in the United States. As a result, the medical industry sees many opportunities at the intersection of biomaterials and new technology. Integral will surely be there. Just so you know, there are over 60 leading players in the field of cardiovascular devices (pacemakers, defibrillators and stents) worldwide. And who might some of them be? For a start, try Abbott, Boston Scientific, Johnson and Johnson, Medtronic and St. Jude Medical among others. All small fry, huh? But there are others knocking at Integral’s door. For instance, a blood transfusion device manufacturer asked if ElectriPlast could improve their product. After much discussion, it was agreed that ElectriPlast would make their device more efficacious than the model they had on the market. Bingo, another NDA! According to several credible sources, over 100 companies are working under NDA arrangements with Integral Technologies to incorporate ElectriPlast into their research and development strategies. It is an article of faith that once an entity reaches the R&D phase, it is a foregone conclusion that they have already planned to move to the license agreement phase. And by definition, companies who sign license agreements anticipate production. Looks like those medical device design studios will be working overtime. How would Hippocrates be evaluated, if he were alive today? Well, let’s look at his record. Basically, his medical practice was very different from that of his colleagues. His contemporaries diagnosed illness based on superstition, evil spirits and capricious gods. Not Hippocrates. He based his diagnoses on observations and on his studies of the human body. Other physicians and intellectuals believed thoughts, ideas and feelings came from the heart. Not Hippocrates. He argued that the brain, not the heart, was the center for such activities. He was the first physician to accurately describe the symptoms of pneumonia, as well as epilepsy in children. And among his many other innovative and disruptive ideas, he believed in the natural healing process of rest, good diet, fresh air and cleanliness. Sounds like an innovative and disruptive kind of guy to me. In fact, I’m nominating him as an honorary member of the Integral Technologies Board of Directors! After all, what else would you expect from a physician who was "Hip" centuries before it became popular. It seems lately that there is an inverse relationship between this technology's approach to reality and its stock price...what gives? My paranoia creeps in and tells me this may be more hype than reality...help! Well said, anonymous. I'm adding another vote to reflect the same sentiments, exactly. Anyone out there who can help us out? Come on! You guys/gals act as if you've never invested in MicroCaps before. Have you? If so, then you must have learned that volatility goes with the territory, right? If not, then consider this downturn as your "schooling." It's really quite simple: 1) You believe that the stock price will eventually catch up with the technology and you ride it out, or 2) You don't. If you don't, then why keep punishing yourself? Hello to all reading, and those writing. I gather this surprise down-turn has hit hard and left some wondering on the validity of the ElectriPlast, and more importantly, its marketability. This is not one of those DEAL with it speeches – nothing near. Your concerns are valid and the questions are reasonable. Understand, first and foremost, OTCBB, or better said Penny Stocks are extremely susceptible to investor sentiment, rumor, hype and lies. Unfortunately, we are still at the beginning phase of this investment. The stock is under the radar, and we as stakeholders are holding onto something that—though it is not yet there—has the potential to impact numerous markets at the same time. Because of this, we are in the same position as what some once called angel investors. Like those who invested in Microsoft before the technology was realized; or those who supported eBay long before its stock came available on the open market, long before its potential could be realized. We are not that early on the train at this point, but for the rest of the world, there is still a fog surrounding the implied impact that the ElectriPlast IP will have on various markets being targeted. The EB was begun with the notion of clearing the fog for some, and offering answers to those who began to see the potential. Not realizing it, I’ve tried to follow that guideline in email responses and correspondences. In the Blog stories themselves, no, I could not take that approach because I needed to speculate on some of the potentials based on the patent summaries as they were approved, and from insights gleaned from the Integral itself. Despite that, I attempted to remain true in my descriptions – despite the fact that, until ElectriPlast becomes marketed and is available on the streets, the “real” potential will remain a close-held secret, available only to the license holders and to the over 300 companies holding Non Disclosure Agreements with Integral Technologies, and its license holders: JARCO; Heatron; ADAC; and Esprit. 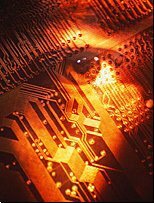 As noted above, I worked to under promise on my descriptions of what was gleaned from both the patents and accounts from sources that were exposed to the tech-specs of ElectriPlast and are aware of the potentials. Still, it is hard to do, if what was relayed is fact, then there is no way this venture could fail, and the fact that multi-million dollar companies are signing licensing agreements and (potentially future contracts) with Integral might be interpreted as supporting this premise. All right, the questions are focused on the why behind the dip. Heck, it could be any number of things behind that – from the raised expectations over the CES (some wanted a booth), me, I saw it as yet another source of validation for product potential - - I believe I said as much in my Blog articles, and similar tones were echoed in Vince’s articles. The product was validated, those companies looking for a new angle on developing their pending product lines were exposed to the potential ElectriPlast brings to bear. Contacts were made and developed during that event – problem was, they were not broadcasted, announced, or publicized beyond the event itself. Welcome to the world of business, where first to market sometimes means working with someone who wishes to keep their secret weapon secret for as long as necessary. Another reason for the drop could be due to the newspaper article reported on the iHub a few weeks ago, wherein Bill Robinson gave an interview and noted that revenue from ElectriPlast sales may probably be seen in the 3rd or 4th quarter. This is longer than some would have thought – what with this being the “year” and all. I don’t know what to say about that--it is about perspectives more than not. If revenues are seen in the 2nd quarter, will we march on Bellingham and proclaim the CEO a liar. I think not, and though I cannot say he is spot on, I can say JARCO has been producing ElectriPlast in volume over the past 3 months for (someone). I can say that they are looking to increase their production load multi-fold. I can say that Tom Aisenbrey has been spent more than a few weeks in Jasper assisting with the operation & production’s fine-tuning efforts. Let me be clear. This company is moving in a forward direction. The Licensees listed now are not the last to be seen. Many, many other companies are taking a hard look at the ElectriPlast option, and have their legal teams reviewing and tweaking their proposed agreements as I write. Some of the NDA companies intend to enter into contractual agreements with Integral directly, while others will become clients to JARCO’s supply-chain manufacturing infrastructure. The story associated to this investment remains constant – yes, the stock price dropped. Trust when NASDAQ, or AMEX comes into play, such fluctuations will not be present, and manipulators will find it harder to tease the price per share. Until that time, you will simply have to deal with those on a message board taunting and attempting to confuse the larger picture with their holier than thou, negative ‘tude. I doubt this was of much help to some – the product and its potential is real, the issues highlighted in this Blog are valid. There is no instant path to success, and if there was, then I would raise the flag of doubt. No, a foundation is required, and it needs to be built upon. Integral is doing just that. I am tempted to say calm your passions, but I sense the reasons why some may be anxious. What I recommend is waiting for the activity set to occur at or around the end of this month, beginning of next before testing “cut and run” the winds on this extremely speculative, but potentially highly rewarding investment. ElectriPlast: Possibilities Abound. . .
ElectriPlast: 2006 - What an Incredible Year!